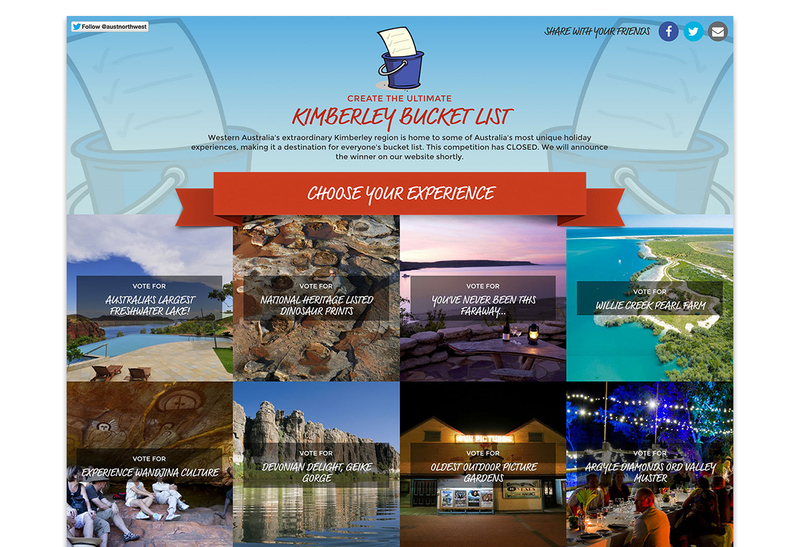 Australia’s North West Tourism runs an annual competition to promote the wonders of the Kimberley region in Western Australia. You may have seen the marketing. In 2014 and 2015 I worked with a local team to deliver the competition website, my role being front end and WordPress development. With a different format each year, new user interaction patterns present new challenges for WordPress development. The 2015 site, built on WordPress, enabled the competition organisers to publish a list of ‘experiences’ each week, inviting the public to vote for their experience and contribute to a ‘Bucket List’ for the eventual competition winner. We used WordPress custom post types to publish individual experiences and collections thereof. The competition has proved very successful, with increasing engagement each year. In 2014, the campaign won a gold medal in the Destination Marketing category of the Western Australian Tourism Awards.